Gin is most definitely in. But how do you keep up with the lavish costs of your refined palette? Hendricks gin is a firm, long-standing favourite among gin lovers, known for its gentle, springtime infusion of rose petal and cucumber. However, this premium brand doesn’t alway fit quite so smoothly with our monthly budgets; with bottles selling for £28 at supermarket giants Tesco and Asda. With many of us splashing out on last minute holidays, this kind of ‘special occasion’ sum doesn’t always cut the mustard. Luckily, Aldi has really stepped up; distilling a bottle which looks – and reportedly tastes – very much like the real deal. Although, in the case of Harrison’s Cucumber Gin, you only need to fork out £15.99 for a 70cl bottle. Much like Hendricks, the ABV is about 41 per cent. It also comes in a very handsome lookalike bottle, which should make a very nice addition to your kitchen shelf. Get to Aldi mate from this Thursday… gin galore.? Harrison’s Cucumber Gin has been released alongside various other new gins, as part of Aldi’s bang-on-trend Gin Festival. As the country’s thirst for gin continues to grow, Aldi is launching a host of delicious new products to its range, in its first ever National Summer Gin Festival. Available from 26th July, the festival will see 10 new gins hit Aldi’s shelves, including three unique small batch products, each with a unique heritage. Bargain hunters are delighted by Aldi’s contribution to the current, glorious gin-aissance, taking to social media in appreciation of this brand new collection. Get to Aldi mate from this Thursday… gin galore. Aldi really are fast becoming serious players in the world of gin, with their Irish Boyle’s Gin being awarded a prestigious gold medal at The Gin Masters, 2018. Furthermore, their well loved Oliver Cromwell London Dry Gin (£9.99) has been voted as one of the best gins in the world – for the second year running – by the International Spirits Challenge (ISC). Aldi bringing out a Pornstar Martini Gin????? You can get your mitts on a bottle of Harrison’s Cucumber Gin from July 26, 2018 onwards. What a refreshing deal. 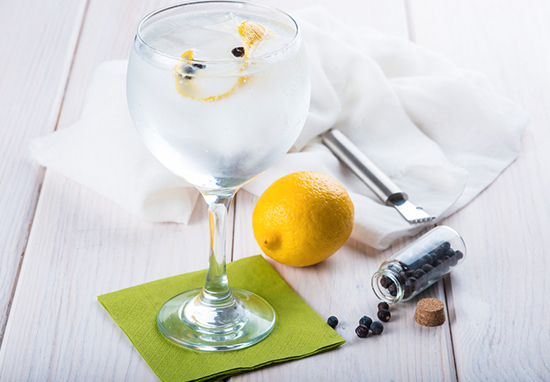 To find out more about Aldi’s increasingly excellent selection of gins, visit their website.